The Lissoni Sofa™ is a sophisticated, modern sofa that combines comfort and timeless design. Piero Lissoni has created the sofa for the everyday life, with no specific purpose in mind. Its horisontal and vertical lines create a clean, but pronounced appearance that will add character to any room. 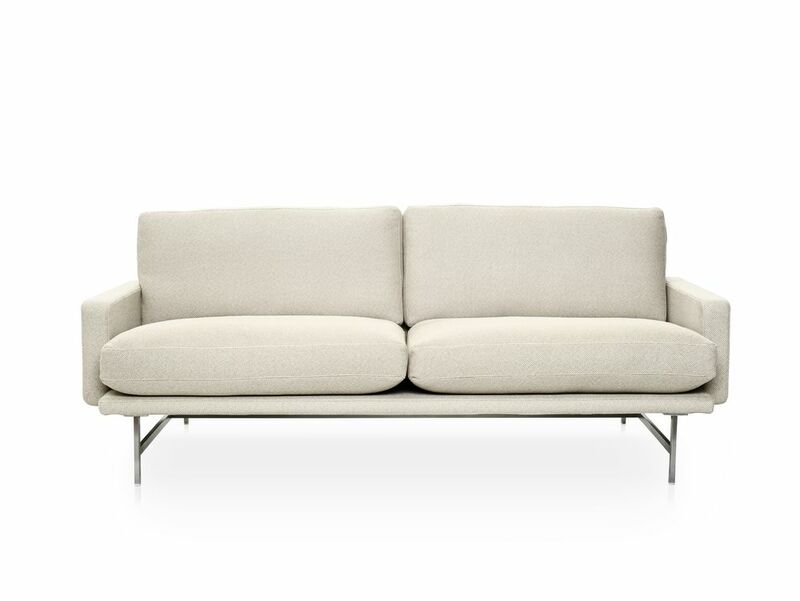 The Lissoni Sofa™ comes fully upholstered as a 2- or 3-seater sofa. It comes in a wide range of fabric and leather types. The sofa rests on a matt polished stainless steel frame. The shell and the armrests are fully upholstered in fabric or leather. The seat and back cushion covers are detachable. The cushions consists of ball fibre and feathers. The frame is made in matt polished stainless steel with nozag springs and legs in stainless steel with opal plastic glides.